(Located on the corner of Station & Wexford Streets in Subiaco). Onsite parking is not available, however a variety of parking options including on street parking are available close to the clinic. Please see map below for details. 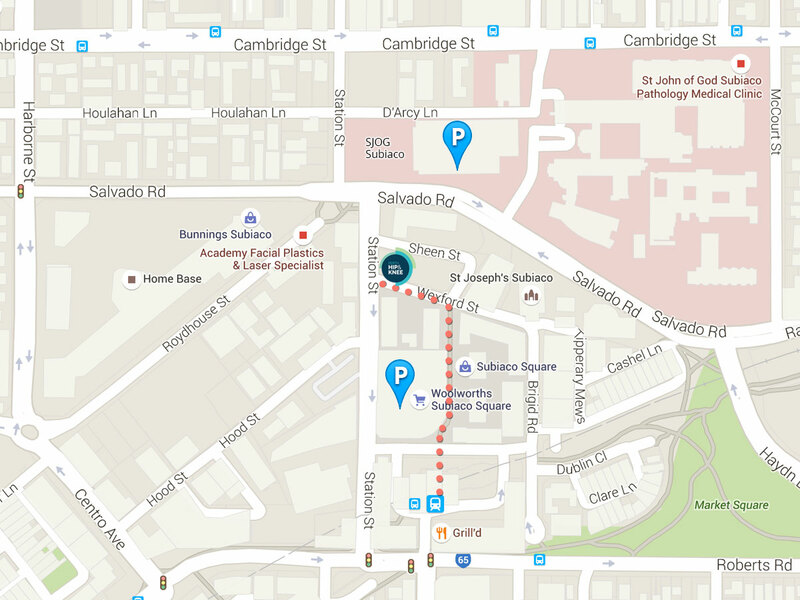 Subiaco train station is located within 250 meters of the clinic. For Train timetables visit Transperth.